So the Mass Effect 3 demo has been out for about a week or so and I’ve gotten a chance to get a good grasp of it. I discuss some hopes as well as concerns. Is this a great demo and must play, or does it fail? Check it out! At EA’s E3 press conference, it was revealed that Battlefield 3 will have an open beta beginning this September. Also EA announced it will release Battlefield 3 on October 25, 2011. And Finally Sony announced at their press briefing that the PlayStation 3 version of Battlefield 3 will exclusively include Battlefield 1943 on the disc. E3 2011: Mass Effect 3 New Gameplay, News, and Impressions! Mass effect took the stage and gave us fans a pleasant surprise. Mass effect 3 will allow the player to use the Kinect to speak the dialogue instead of using the controller and scrolling through the dialogue wheel. Also you can use Kinect to give squad mates commands to gain the tactical advantage over your enemies. Last but impressive was a new melee weapon that looked like a blade used by your omni tool, Sheperd slashed at the enemy to injure the enemy badly. Overall the game Looks promising and is slated to release March 6, 2012. 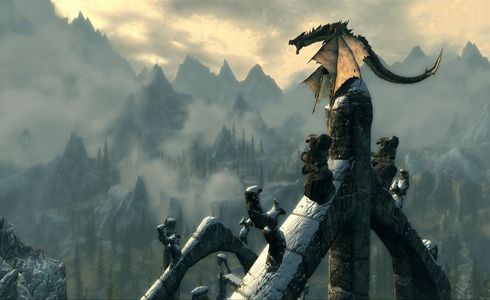 E3 2011: Elder Scrolls V: Skyrim New Gameplay, News, and Impressions!